In an emergency, the last thing you want to worry about is the bill. As a Centre LifeLink member, you can be assured that you and your family will receive quality emergency medical services without creating extra financial hardship. A Centre LifeLink Membership covers unlimited local EMERGENCY ambulance service by Centre LifeLink EMS when we are the 911 dispatched service. Any available insurance is billed if you use the service. Whatever your insurance pays us will be payment in full for emergency ambulance service covered under your membership. Most insurance plans do not cover the full cost of ambulance service. As a member, you will have no out of pocket expense for emergency ambulance service, even if your insurance only pays a portion of the bill or denies the claim! When you dial 911, 24-hours a day, a Centre LifeLink ambulance responds, on average, within 30 seconds. Centre LifeLink operates out of 3 stations to allow us access to the largest area in the shortest amount of time. Our ambulances are staffed by EMT’s and Paramedics, who provide the same level of high-quality emergency care found in larger metropolitan communities. 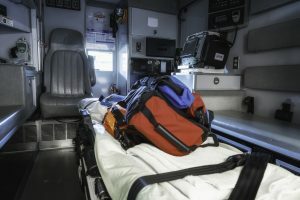 Paramedics are in contact with ER physicians and are capable of administrating intravenous medication and other life-saving procedures en route to the emergency department. Centre LifeLink’s EMS is NOT supported by municipal tax dollars. We are a non-profit organization that relies, in part, on your tax-deductible donations. New! Student Membership: We now offer a student membership, specific to university students. This membership programs runs August 1-July 31 each year and is $55 per student. For more information, or to register, click here. Gift membership: We also offer gift memberships for an individual or family in need. Please click here for information on, or to purchase a Gift Membership.